Volunteers from Mennonite communities in southwestern Ontario have travelled all the way to Constance Bay, where they're donating their labour — and often a sympathetic ear — to victims of spring flooding. They appeared out of nowhere, and they got right down to work. The five young men — still teenagers, by the looks of them — pulled on white plastic coveralls and crawled into the cramped space underneath Yvonne Johnson's flood-damaged home in Constance Bay, where they replaced the sodden insulation and installed a new vapour barrier. Yvonne Johnson says she wouldn't have been able to afford the repairs. The volunteers, she said, were a godsend. 'The kindness is incredible.' (Jean Delisle/CBC)The fee for their labour? "They said, 'There is no charge,'" recalled Johnson, 77. What's more, the young men had travelled all the way from Mennonite communities in southwestern Ontario, and the supplies had been donated. For Johnson, who says she couldn't have afforded the repairs otherwise, they were a godsend. "The kindness is incredible, and it just made me know I made the right move and I belong here." Johnson had recently purchased the small bungalow with dove-grey siding on Bayview Drive, a short walk from her daughter's home in the quiet waterfront community in west Ottawa. One day back in May she was wrapping up her affairs back in Regina, preparing for the move east, when her phone rang. It was her daughter, calling to tell her about the flood. "Well after she stopped crying, I thought, Oh, what about my house?" Johnson recalled. The floodwater had spared the home's living space, but inundated the crawl space, ruining a pump and leaving the insulation a soggy mess. The volunteer group West Carleton Constance Bay Flood Relief estimates 500 homes in the area were damaged in the spring flooding. Many of the supplies used to repair those homes, including Johnson's, were paid for through donations to the group. Among the volunteers supplying the labour are members of faith-based groups including Samaritan's Purse and the Mennonite Disaster Service. 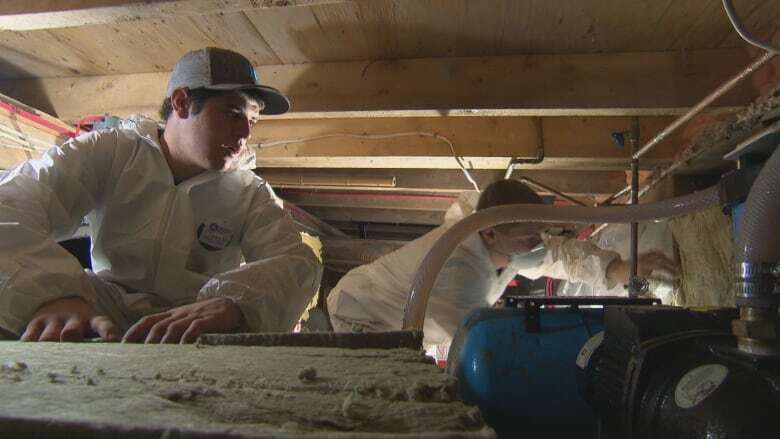 Many travelled hundreds of kilometres to Constance Bay to rip out mouldy drywall and soggy carpeting in the days and weeks after the floodwater receded. Now they've returned to help with the reconstruction. The volunteers are replacing damaged drywall, installing insulation and performing other repair work, often in crawl spaces and basements. The volunteers concentrate on helping homeowners who are elderly, have health problems or struggle to afford the repairs. Nick Hamm, a retired engineer from Vineland, Ont., is director of Mennonite Disaster Service, and is co-ordinating the volunteer crews in Constance Bay. "It doesn't matter if the flood is in New Orleans or here. It's the same effect," said Hamm, who began volunteering after Hurricane Katrina in 2005. "Our mandate is to help [flood victims] in Christian love – we are taught to help our neighbours and our neighbours are here as well." Hamm said the Mennonite volunteers, who number about 45,000 across North America, are entirely self-sufficient, arriving at disaster sites with trailers, cots and their own cooking equipment. Hamm likes to remind the volunteers under his watch that the repair work might extend beyond the bricks and mortar. "Every homeowner has a story, and that's what we thrive on, the story of the homeowner we serve," Hamm said. "I tell the volunteers to listen, because that is part of the healing process." The five young men working on Yvonne Johnson's home come from farming communities in southwestern Ontario and describe themselves as "conservative Mennonites." Among other tenets, that means no radios or televisions in their homes, and they must buy black vehicles. Ryan Weber, 18, hails from Listowel, Ont., where he works at a farm machinery parts shop. He took three days of vacation to volunteer. It's his first experience with disaster relief work. "It's a good feeling to help, and they are happy we came," Weber said. "God's looking down on you, and He's happy you're helping people." Weber said he'd like to volunteer in Haiti. Heather Lucente, director of West Carleton Constance Bay Disaster Relief, is full of praise for the Mennonite volunteers, who are filling the gap left by other volunteers who had to go back to their day jobs. "The volunteers that we had, who worked tirelessly for the first month, they had to go back to their lives," Lucente said. 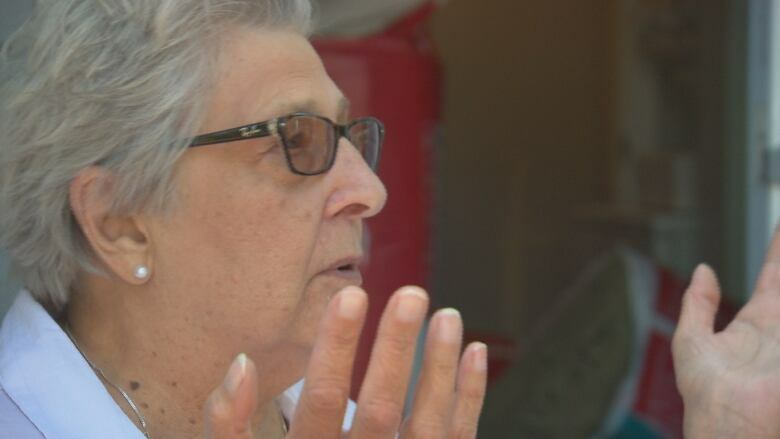 Hamm said the Mennonite crews have so far helped repair 12 homes in Constance Bay, and expect to work on more before they pack up their trailers and head home, where they'll wait for the next disaster, and the next phone call asking for help.